What happened to the PlayStation people? We’re doing this on time this month! Tell me what you wan to play and I will put it on this schedule! Whatever you want! We’ll try to make it happen! I’ve thrown up what I’ll be hosting this month (provided I can get my consoles to connect to my school’s network again soon), but it’s up to you guys to tell me what you all want to host/play! Don’t be shy! 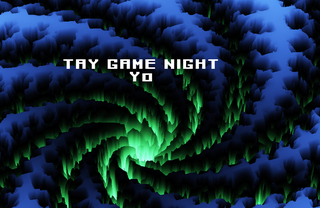 If you’re a TAY Game Night veteran or a newbie, it doesn’t matter! Just pick the games you wanna play! It’s been a while since you PS3/PS4 people got an official Game Night. If you guys want to play anything in particular, sign up to host it! For the Game Nights I plan to run, I can potentially move the dates around if that will be more convenient. The schedule is flexible so these are by no means set in stone. I can only make Game Nights as good as you guys let me so please give me your input. Thanks to Pikathulu for this month’s header! Remember, you can find your friends the TAY Gaming IDs Spreadsheet and in the TAY Steam Group! Be sure to put your name on the spreadsheet and join the group if you haven’t already!